CDL Driving Jobs & CDL Driver Staffing Agency - Atlanta GA | Platinum Drivers Inc.
Atlanta, Georgia is one of the transportation and shipping capitals of the U.S. Receiving consumer items, fuel, chemicals, food and thousands of other exports from around the world by overseas transport, air, and roads, drivers are more in demand in Atlanta, Georgia than almost any other area of the world. Shipping and trucking companies in Atlanta have a wide range of open driving jobs and are now looking for qualified commercial truck drivers to transport items locally, regionally and nationally. Platinum Drivers collects these CDL jobs and creates an open marketplace, connecting drivers working with equipment of all types to the companies that require their expertise to move products. Platinum Drivers is committed to providing fast, effective and safe staffing assistance to both drivers and clients in Atlanta. With expertise and assistance from the trucking and shipping experts at Platinum Drivers, commercial truck drivers can easily locate CDL jobs and other driving jobs in their areas. Commercial driving positions of all types are currently available, with hauling companies looking for class A and class B drivers, OTR and line haul truckers, P&D haulers, yard drivers and many more positions. When companies need drivers on a moment’s notice to transport products, they turn to Platinum Drivers to find experienced drivers with endorsements and licenses that match their requirements. Platinum Drivers eliminates the searching and due diligence for both businesses and drivers. By working exclusively with shipping and transportation jobs, Platinum Drivers can better serve clients and drivers alike. Drivers will find local CDL jobs and regional truck driving jobs of all kinds, including flatbed assignments, dry van jobs, and tractor-trailer hauls. With drivers’ licenses and endorsements on file, Platinum Drivers will match candidates with companies that are seeking these skills. When one job is finishing, Platinum Drivers will match you with another job in your area with the equipment and route you are familiar with. Platinum Drivers provides a more streamlined experience for all parties by working exclusively with drivers and shipping companies directly. Platinum Drivers is committed to providing a quality staffing experience for all, and continually provides assistance at every step in the process, answering questions, presenting new opportunities and finding experienced drivers across the nation. Platinum Drivers assists commercial truck drivers in finding local CDL driving assignments across the nation in many popular shipping hubs, including Houston, New Orleans, San Antonio, Dallas and much more. Drivers and companies working with Platinum Drivers often stay for years and forge long-term relationships. With quick and efficient operations, Platinum Drivers fills positions and finds work on your schedule, so you can transport materials quickly and safely and drivers can always find work. With driving jobs and truck drivers in one place, Platinum Drivers takes the time and effort out of job searching and screening overwhelming numbers of candidates. Platinum Drivers understands the urgency in finding the right driver for the job and in ensuring work is available. With staffing assistance from the experts at Platinum Drivers, even unexpected openings and needs can be filled quickly, helping you stay on schedule and deliver materials as needed. When a driver is needed or a position is open, Platinum Drivers finds all the candidates in their database with the licenses and certifications needed to transport the materials you are working with using the equipment that you have. With organized and secure files and records, Platinum Drivers’ staffing assistants can put hauling companies at ease by connecting them with vetted drivers who will ensure that their merchandise arrives safely. Drivers can transition into their new job more quickly and plan for the future with Platinum Drivers. Haulers can build a career and ensure a steady level of work with Platinum Drivers. Their team will work diligently to ensure each driver receives regular shipping jobs and finds new positions when each one is finished. Platinum Drivers takes care of the searching, applying and registering for you, so you can simply go right to the job. 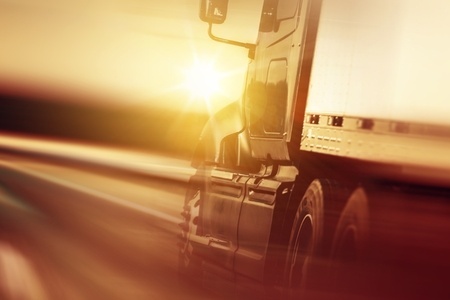 The shipping, trucking and transportation industry is competitive and vast. Finding the right candidates is as difficult as finding the right job. With streamlined services and staffing aides to help at every step, drivers can find local CDL jobs that are available now and companies can evaluate the talent that is ready to take a new assignment in each city. Whether companies are filling sudden needs during busy seasons or they are taking on new clients and require more drivers, Platinum Drivers helps to fill the openings fast. When truck drivers are looking for new opportunities in new cities or planning new jobs to fill gaps in their schedule, Platinum Drivers gives them a list of driving jobs available. If you have a shipping business, transportation business, trucking company or you are a vertically integrated company looking for truck drivers to transport your materials and merchandise in and out of Atlanta, contact Platinum Drivers today. If you are an experienced class A or class B driver, line hauler, OTR or P&D trucker, yard driver or another licensed commercial truck driver looking to fill your schedule and expand your career, fill out an online application now and start finding your next assignment with Platinum Drivers.